My mom and I used to go to this restaurant, Athens Kouzzina, from time to time when we’d venture to Discover Mills. (For those of you that are reading this and are thinking to yourself It’s not Discover Mills anymore. It’s Sugarloaf Mills. I’d like you to click X and continue to stay out of my life because that’s not the point of this post.) Anyway, the restaurant is right across the hallway from the movie theater, so the location was prime. As I became an adult with a salaried job not too far from the mall, I’d stop in for lunch occasionally. One cold day made me not want to leave the office. I keep a desk heater and a fleece blanket on pretty much year round, but it wasn’t enough. I needed something to warm me up from the inside, ya feel me? I googled the restaurant menu. They had grilled cheese and they offered tomato soup. I called in the order, grabbed it and came back to my office. 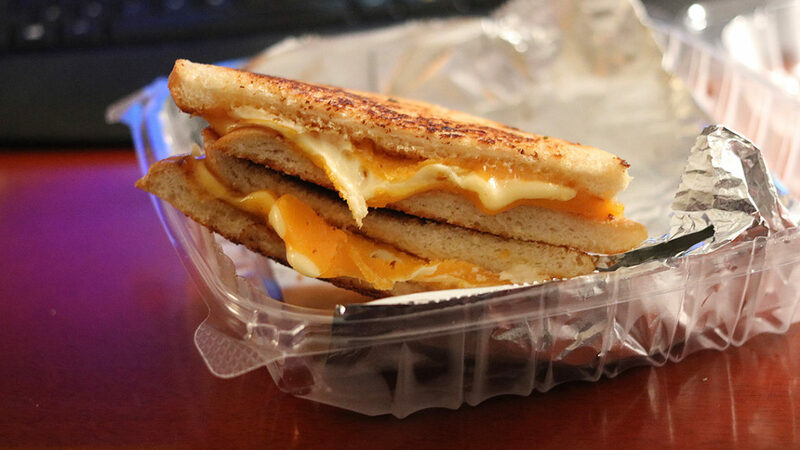 The best grilled cheese sandwich in Gwinnett County. So because you read the title, you know that this was the best grilled cheese sandwich I’ve ever eaten. I hate that I’m lactose intolerant and need a Lactaid pill before consuming dairy (and even then, have physical regrets) because this should be a regular cold temperature treat. I should be posting pictures of this grilled cheese sandwich and tomato soup on my Instastory at least 3x every 4 weeks, so you know that it’s real. Athens Kouzzina did that. I think the balance came in the two types of cheese, the buttered toast, and the creamy tomato soup. Some places just throw in Campbell’s tomato soup in a pot on the stove for 5-7 minutes and curtsy. There you go. Good tomato soup requires effort. It means realizing that drinking V8 is not enough. It won’t complement the smoothness of a good great grilled cheese sandwich. A great comfort meal means feeling good while consuming it. You have to know what’s alright and make that better. Stop by Athens Kouzzina in Discover Mills while we still have a few more breezes before Spring finally shows up. CP Time is a trip this year. And enjoy! 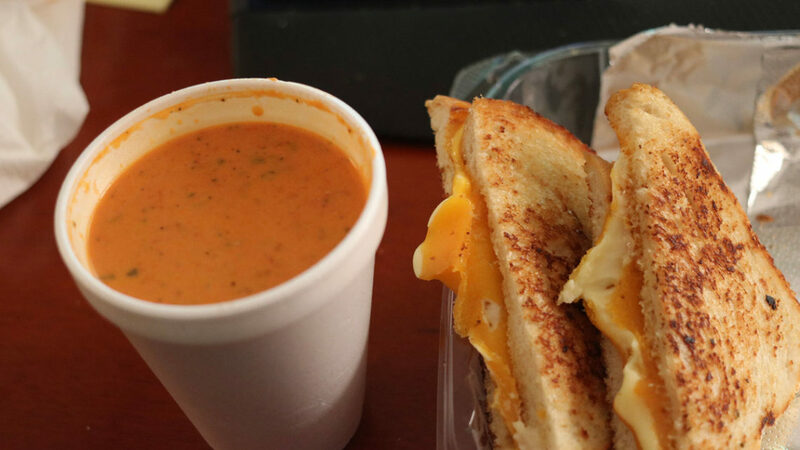 If you aren’t near Athens Kouzzina, there are plenty of places in Gwinnett that offer grilled cheese and/or tomato soups.